Welcome to our Website. Are you looking to purchase a home or a tract of land? Are you looking for a realtor to help you sell your home? 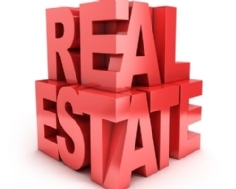 Martin Real Estate is your home and land sales office of choice, since 1977! The housing market in East Montgomery County is hot! Montgomery County is ranked as the 6th fastest growing county in Texas. Oakhurst at Kingwood, Valley Ranch and Tavola are just a few of the new residential communities that are currently being development. The Grand Parkway and the Texas Grand Theme Park has spurred tremendous commercial development along Highway 59 North. Call Martin Real Estate at 281-354-5141. Experience has its rewards!